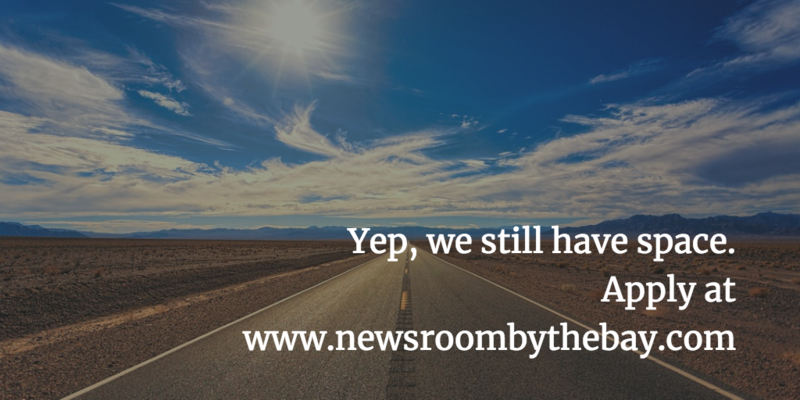 One of the things that separates Newsroom by the Bay from other summer journalism programs is our reporting expeditions — trips to San Francisco and to Silicon Valley. 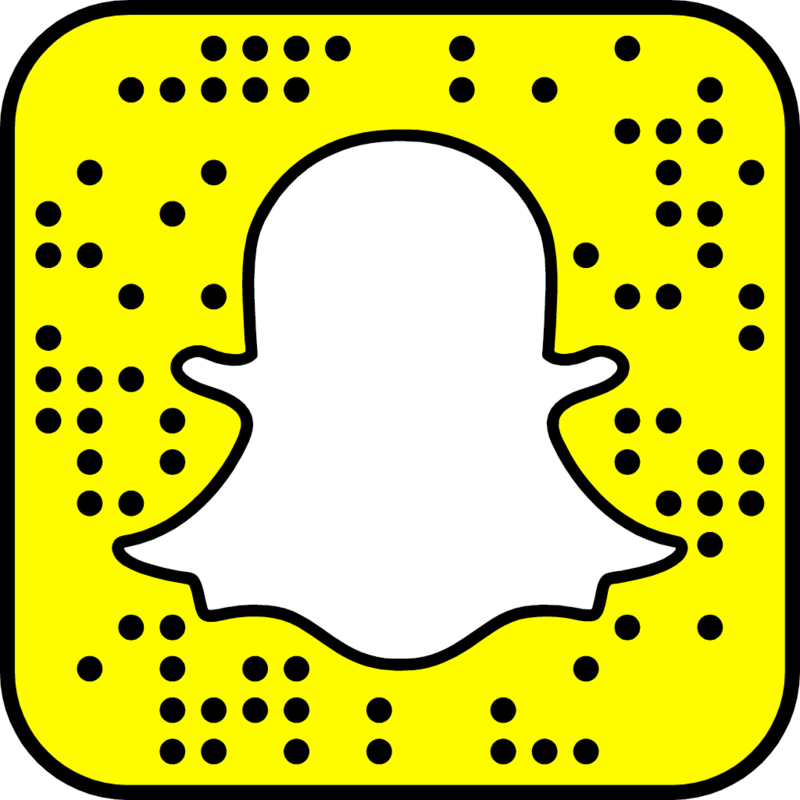 Our program motto — “learn by doing” — is at the heart of these excursions, which give students an opportunity to report, write, photograph and video real-life stories that matter. 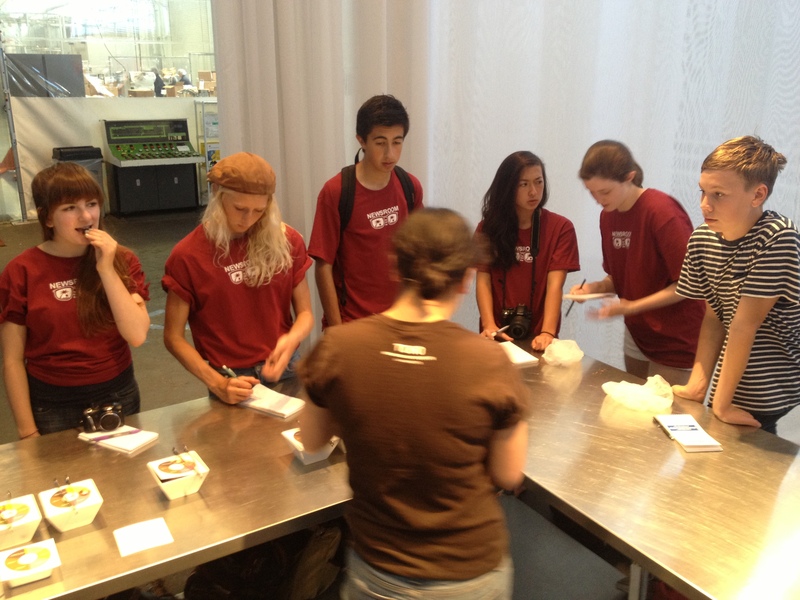 Students line up for a gourmet taste test at the TCHO chocolate factory in San Francisco. Photo by NBTB staff. Students plan these expeditions in their news teams and with the guidance of their team leaders and program co-directors. Whether it’s a trip to City Hall to learn about San Francisco history, a private tour of AT&T Park to study environmentally sustainable architecture, a talk with editors in the newsroom at the San Francisco Chronicle, or a seat in the press box at a San Jose Earthquakes game, students use these expeditions to find the people, places and stories that tie in to their news website’s theme, from politics to art, technology, science and sports. NBTB 2013 students capture quotes, photos and video during a reporting trip to San Francisco’s Castro district. Photo by NBTB staff. Year 1 students enjoy an all-day trip to San Francisco, while Year 2 students travel to San Francisco and Silicon Valley. Lunch, museum and event tickets, transportation via CalTrain and Muni, and admission to parks, newsrooms — and yes, the occasional chocolate factory — all are included in the program costs. 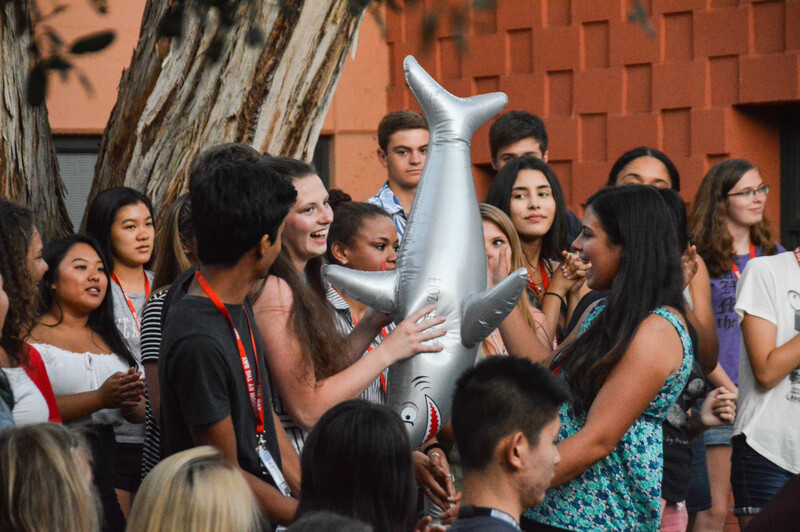 There is no additional cost to students. During our Summer 2013 session, the Supreme Court’s decisions on marriage equality, released Tuesday, June 25, made the next day’s Y1 reporting trip to San Francisco especially memorable. Click here to see the “One Day, One Story” website launched by Y2 students in order to capture some of the amazing reporting by Y1 students that day. 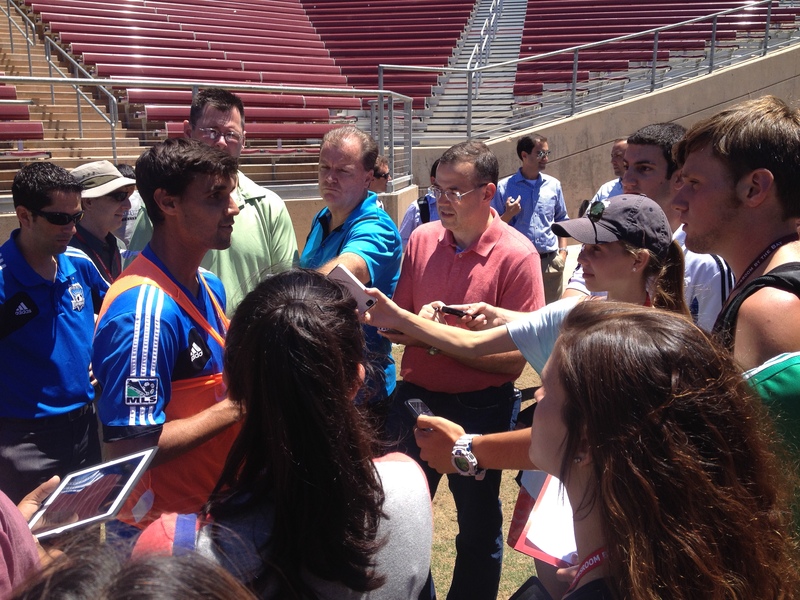 NBTB students are part of the press pack at a San Jose Earthquakes soccer practice. Photo by NBTB staff. 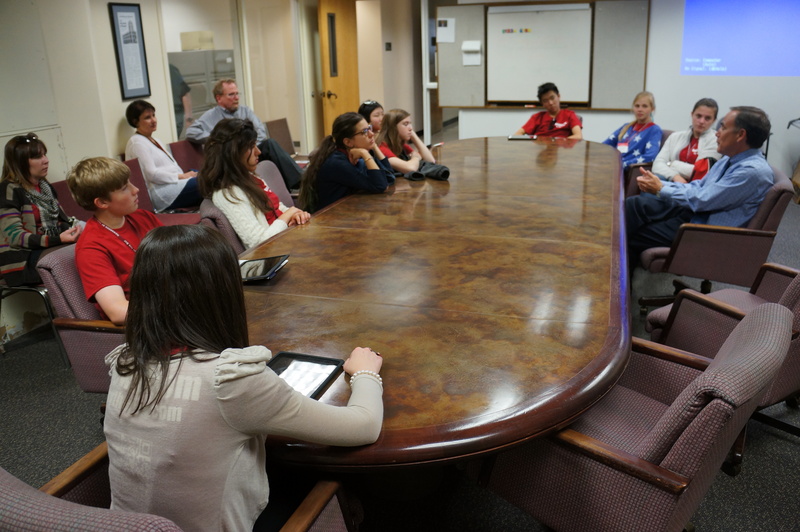 Students gather around the conference table at the San Francisco Chronicle for a talk with John Diaz, editorial page editor. Photo by NBTB staff.